Shades of Culture: Photos From The 2013 African Cup of Nations The 29th Africa Cup of Nations opened in South Africa's First National Bank Stadium on Saturday, with traditional dancers taking to the pitch in a rainbow-colored ceremony amid rainy weather. The 29th Africa Cup of Nations opened in South Africa's First National Bank Stadium on Saturday, with traditional dancers taking to the pitch in a rainbow-colored ceremony amid rainy weather. Hundreds of children grabbed colorful balls and threw them on the pitch to form a giant South African flag, with fans blaring vuvuzelas in excitement. South Africa was held to a 0-0 draw by newcomers Cape Verde in the tournament's first match before a sellout mostly home crowd of 90,000. Cape Verde earns one point for its defiant first game at a major tournament and almost scored a goal at the 13-minute mark. 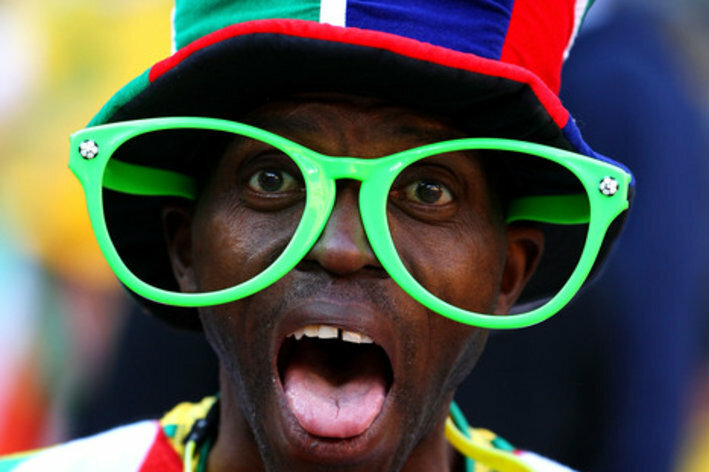 South Africa, which on Saturday seemed lackluster, last won the African Cup in 1996. In Saturday's second fixture, Morocco and Angola also drew 0-0. See photos from the opening day below.